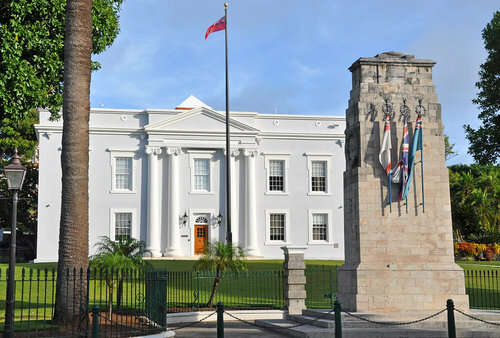 Located outside the Cabinet Building of Bermuda, the Cenotaph is a memorial for those who died for Bermuda during the World War I and World War II. On the Cenotaph, there are names of those who died while safeguarding Bermuda's freedom. You will also see three flags on the cenotaph. Those are of The Royal Navy, Royal Air Force and British Army, saluting the sacrifice of the brave soldiers. The cenotaph is a replica of the one that you will see in Whitehall, London. This limestone monument was built in 1920. Every year on 11th of November, the Remembrance Day Parade, participated by Bermuda's surviving veterans, Bermuda's Premier, Governor and other officials, end at the Cenotaph. The wreaths are then laid, and gun fire salute is given by the Bermuda regiment. There is also a larger than life Bronze statue of a black slave Sally Bassett that brings out the vivid memories of Bermuda's slavery days. She was burnt to death by her master in 1730 openly in front of public. Reason? She was accused of poisoning her master and his wife. The bronze statue has been created by Bermuda's sculptor Carlos Dowling. UPDATE: A New War Memorial has been set up in the Cabinet office grounds. 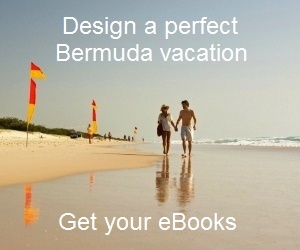 It has names of nearly 3000 Bermuda's war veterans who served the country during first and second World Wars.